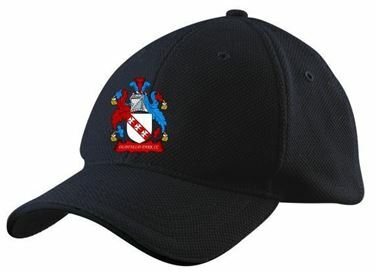 The Official Cricket Cap of Oldfield Park CC in Navy. The Official Playing Trousers of Oldfield Park CC with Ivory Trim. The Official Match Slipover of Oldfield Park CC with Navy Trim. The Official Playing Shirt of Oldfield Park CC with Navy Trim. The Official L/S Playing Shirt of Oldfield Park CC with Ivory Trim. The Official Match Sweater of Oldfield Park CC with Navy Trim.